The Pulitzer Prize-winning comedy is the story of a perfect gentleman, Elwood P. Dowd, and his best friend, Harvey - a six-foot tall, invisible rabbit. When Elwood begins introducing Harvey around town, his embarrassed sister, Veta Louise, and her daughter, Myrtle Mae, decide to commit Elwood to a sanitarium. But a mistake is made and doctors mistakenly commit Veta instead of her mild-mannered brother Elwood! Eventually, the error is realized, and a frantic search begins for Elwood and the invisible rabbit, which ends with Elwood appearing, voluntarily, at the sanitarium. Veta finally comes to realize that she loves her brother and his invisible best friend just as they are, and doesn't want either of them to change. 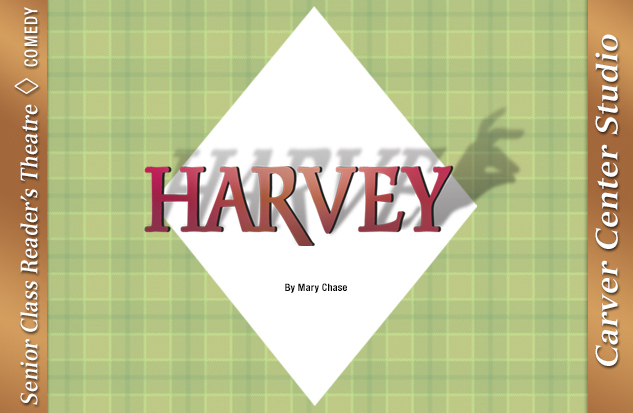 "Simply put, 'Harvey' is a very fine, very profound play"